Geeks in Cambodia is always interested in exploring how technology can be utilised in the Cambodian setting, and so we set out to understand more about seven-year-old Snapchat’s popularity, and its potential among the large youth audience in Cambodia. For those who don’t know, Snapchat is a messaging and communications app centered around sending videos and photos. Its main selling point is the fact that once viewed, the images and videos disappear. The idea being that this encourages users to share more personal and intimate content with friends. Coupled with fun overlay filters, Snapchat has proven far more popular with younger audiences, and has not found much traction outside of millennials. Yes, none of this data is Asian or Cambodian specific, but it still paints an interesting picture of the platform. It is clearly popular amongst young people, and especially women. By contrast, Facebook globally is much closer to a natural gender split, with only 43% of users being female. It is always interesting to see where large tech companies are investing their money, to see where their focus in the near future might be. Snapchat seems to be investing heavily in AR (Augmented Reality). One recent addition to the app allows users to add animated emoji to videos. Check out these examples to better understand the fun applications of this tech. Has anyone discovered Snapchat ART in Cambodia? We would love to see your snaps if you have — share on our twitter @geeksincambodia or via Facebook. An informal poll of the Geeks in Cambodia office shows that while Snapchat is known, and downloaded, by many people here, it isn’t a popular social media option. “Why use it? I already have Instagram stories, or Whatsapp, or Facebook messenger?” was a common refrain, and therein lies the problem. 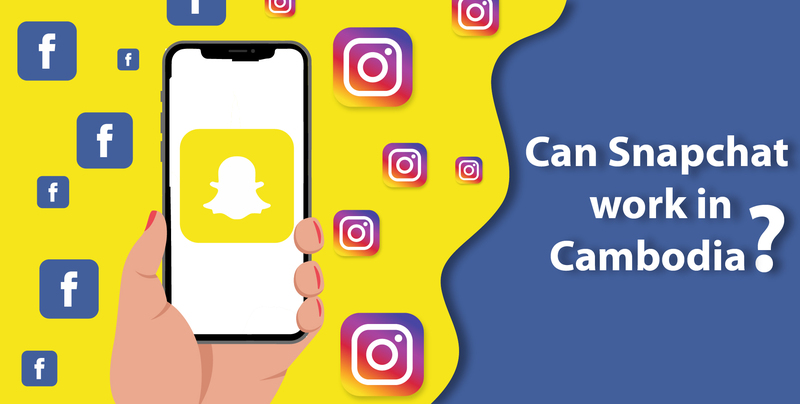 In a market where Facebook is so strong, and where it has copied many of the features that made Snapchat popular — filters, disappearing messages, image editing etc — why take up phone memory with the Snapchat app? Pull factors in other markets — my parents/ grandparents don’t understand Snapchat and are ruining Facebook — do not seem to apply in Cambodia, where it often feels like literally everyone, young and old, is on Facebook. This is also likely why South Korean Snapchat clone Snow hasn’t gained traction in Cambodia. The informal office poll showed that no one had heard of Snow despite its popularity in China, South Korea and Japan. And yet, in the U.S. and Europe, increasing number of brands are looking to Snapchat to reach young audiences. The use of live videos for advertising is seen as more authentic than clearly scripted TV commercials by many young social media users, and Snapchat is perfect for this medium. Coupling this with the use of social media influencers, another way to add “authenticity” to any campaign, and Snapchat has clear potential for brands and companies. Yet it is not that simple. While the platform offers great potential, it’s users appear to have other thoughts. One recent study found that, compared to Facebook, Twitter and Instagram, Snapchat users who followed and interacted with brands were mostly doing it to pass time and share their problems, rather than showing affection or following fashions and trends. Which doesn’t paint the best picture for the platform as a tool for advertisers and marketers. Yet this doesn’t mean Snapchat isn’t without use for companies and entrepreneurs trying to reach target audiences — so long as they are young, tech savvy and appreciate efforts to be a bit different. Hong Kong has shown that the platform can be popular in the region, with the country being Snapchat’s top performer in Asia. Young users have reported preferring the image and video communication style of Snapchat over text-heavy SMS and Facebook messenger. However, while all of this is interesting, it fails to address the reality that no one really uses Snapchat in Cambodia, and that users are not necessarily paying attention to attempts by brands to reach them. With Facebook being so ubiquitous and relatively cheap to advertise on, why use Snapchat? For Cambodian telecoms company Smart Axiata, the potential audience for Snapchat is very small at present in Cambodia, explained Head of Marcom & Events Phon Piseth. Being banned in China may or may not help Snapchat’s Asian growth, as being banned certainly hasn’t hindered Facebook. But the ingrained support for Facebook and its sub-brands across the region means that for now, it looks unlikely that Snapchat is worth investing much time and money in for brands attempting to reach Cambodian audiences. Not that this should stop you from downloading the app and experiencing what it offers for yourself. Have a go, and please let us know what you think of the app, and how it might be of use to startups and companies in Cambodia!